Coordinating with other emergency responders. 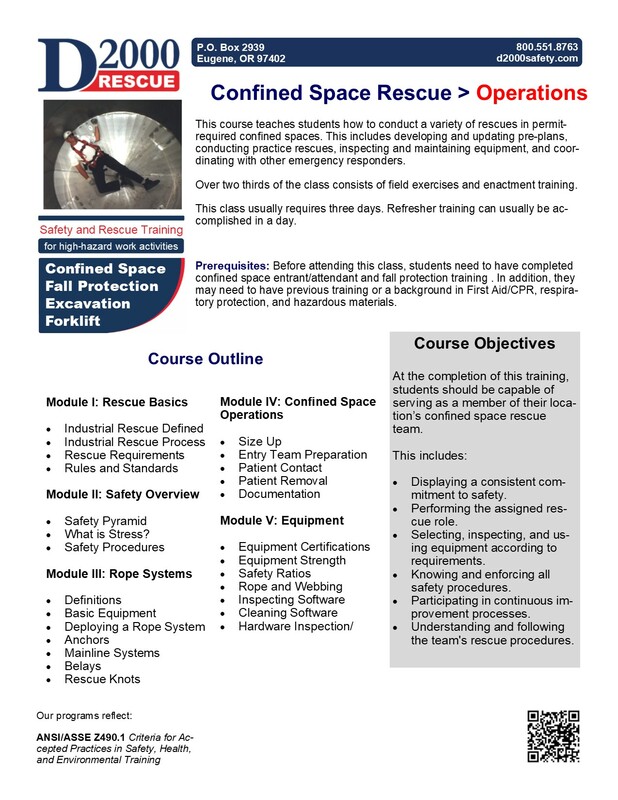 Prerequisites: Before attending this class, students need to have completed confined space entrant and attendant training. In addition, members of the team need to have previous training or a background in First Aid and CPR. Because these classes must reflect the employer's written policies/procedures, they can only be taught at the employer's location. For more information, please fill out our Request A Quote form.